Due to decades of misleading television and movie portrayals, motorcycle riders are often seen as lawless, devil-may-care types who routinely endanger themselves and others. In fact, when thinking of motorcyclists, motorists are more likely to picture thoughtless young people or unruly gang members than as upstanding members of the community who simply enjoy the freedom of cruising the open road with the wind in their hair and the sun at their back. While misconceptions about riding motorcycles keep the activity shrouded in an alluring mystique, they can actively work against bikers seeking compensation for injuries and other losses sustained in crashes caused by the negligence of another person or entity. 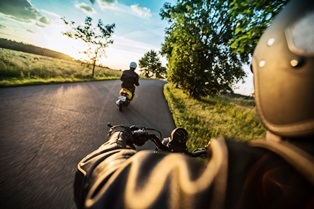 Bias against motorcyclists can cause motorists, law enforcement officers, insurance adjusters, juries, and even judges to falsely assume the rider is to blame for the accident. This might lead to smaller insurance settlements or fewer court-awarded damages. Attorneys can attempt to combat biases about motorcyclists in many ways, including relying on the testimony of eyewitnesses and expert witnesses, such as accident reconstructionists. If you were hurt in a motorcycle accident caused by another person or entity's negligence, you might be entitled to compensation. The skilled motorcycle accident attorneys with Van Sant Law can investigate the crash, prepare a strong case, and help you overcome biases that could result in less financial recovery than you deserve. Contact us today to schedule an appointment for a complimentary initial consultation.